Mashed potatoes from a box? Never! My mom or grandma always made them from scratch, and there really is no reason not to! Chopping doesn’t take long (just make sure to have a good knife!) and you don’t even have to peel the potatoes. I personally prefer them that way. Plus, you get added nutrients from eating the skin of the potato. 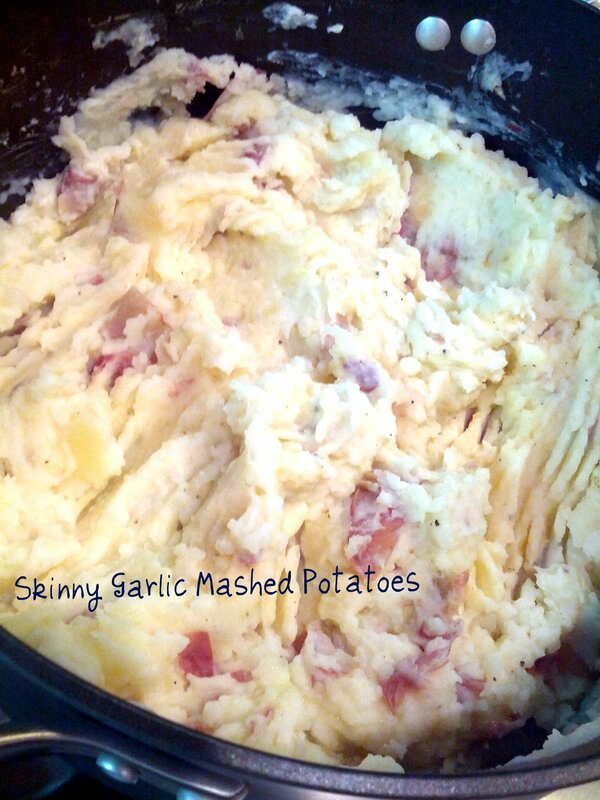 The reason these mashed potatoes are “skinny” is because they have less than 2 grams of fat per serving. I promise nobody will ever know or even suspect that these potatoes aren’t loaded with butter and sour cream because they still taste creamy and rich. My husband loves them and has never once suspected these were modified to be healthy! The garlic is not super strong here but it does add great flavor. 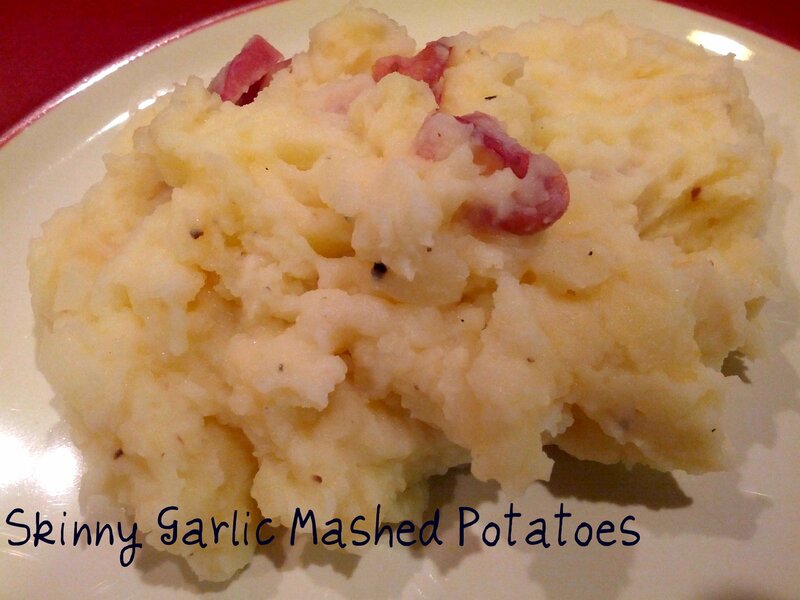 These mashed potatoes are creamy, fluffy, and delicious. You can easily double this to feed a big/hungry family! 1. Put potatoes and garlic in a large pot filled with water. Bring to a boil. Cover, reduce heat to medium, and continue simmering for about 20 minutes or until potatoes are fork tender. 2. Drain potatoes and garlic and put them back in the pot. 3. Add remaining ingredients and mash together until smooth. Season to taste with salt and freshly ground pepper. Serve and enjoy! Makes 5 servings. Serving size: 3/4 cup.